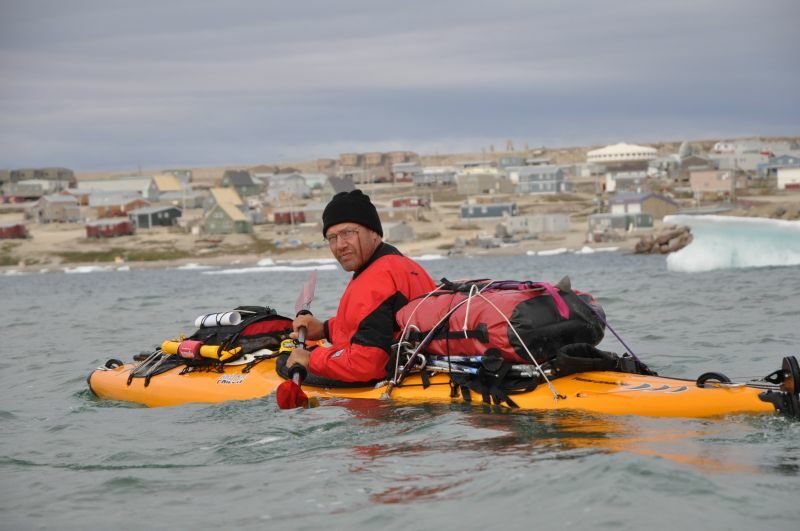 This past summer I paddled a kayak from Igloolik to Pond Inlet, crossing Baffin Island by going up the Ravn River, portaging over the height of land and then navigating down a creek to Milne Inlet. From there we paddled out toward Davis Straight and Pond Inlet. It was a lot of fun and brought us through some spectacular scenery and wild places. I was trying to raise funds for our leadership project through a group called Athletes For Africa. They are a unique non profit group that is able to issue tax receipts and support charitable projects such as our leadership program in Nigeria. So far we are doing well and have raised some significant funds toward our goal of 100,000 dollars. Thank you to all of you who supported me and continue to support my efforts to raise awareness about gas flaring, climate change and arctic ice melt.